Central sensitization syndrome and microglial activation are very extensive topics that would take writing a book to fully discuss. But I can explain it with this very simple overview. Pain is your body's way of saying that something needs attention. When your body has a need that's not being addressed (chronic pain, I suspect from almost any cause), your body sends your brain an alert — in the form of pain. If the need goes unmet, your body amplifies the pain through signals in your spine and brain as a way to get your attention. It's like the oil light on your car's dashboard. If you don't have enough oil in your car, the light will get brighter and more annoying until your car's needs are met. This kind of pain amplification occurs in your brain when microglial brain cells become activated. Normally, these cells behave as "mild-mannered gardeners" that tend to and nourish your brain cells. But there are many things that can then make these otherwise "mellow gardeners" become aggressive. For example, if they see "bugs in the garden" (think infections), or something "injuring their plants" (think traumatic brain injury), or if they perceive some other threat or need (think chronic pain). When any of those conditions occur, your gardeners can turn manic and start "weeding" frantically, which overstimulates your brain and magnifies your pain. This is a gross oversimplification, but I trust you get the point. Address any infections you might have (viral or antibiotic sensitive). Get rid of the pain triggers in the periphery. In fibromyalgia, this begins mostly as muscle pain from chronic muscle shortening, and is typically followed by secondary nerve pain (including small fiber neuropathy). Our S.H.I.N.E.® Protocol can be very effective for eliminating these pains, while optimizing energy and brain function. Hemp oil. CBDs in hemp oil can help numerous components of the pain cycle. 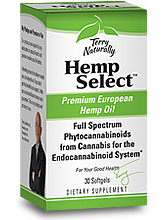 (Hemp Oil and Hemp Select™ are two products that I recommend.) Optimal dosing of Hemp Oil is 3 capsules 2x daily for pain and 5 at night for sleep. This can be pricey, and sometimes lower doses can be very helpful. Hemp Oil is the more cost effective of the two, and is taken by mouth. 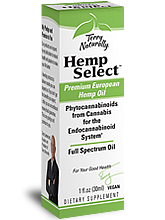 The Hemp Select liquid works best by rubbing into the specific area of pain. The Hemp Oil has been life changing for many people for both pain and sleep issues! Palmitoylethanolamide (PEA) 350 mg 4 times daily for 2-4 weeks, then twice a day (or 3x day if more helpful). Lyrica, Cymbalta, Savella and Neurontin. Now you may have noticed that most of what you've heard most about fibromyalgia pain is central sensitization, although this is just one of seven key types of fibromyalgia pain. And what you've heard about for treating it is Lyrica, Savella and Cymbalta. Why only these medications? Because the companies making these spend about $210 million a year on advertising, compared to just a few million dollars a year that the NIH has for fibromyalgia. This does not mean these medications are not helpful. It just means that they're a very small part of the healthcare toolkit for treating fibromyalgia. Our research shows an average 90% improvement in quality of life by treating the entire process with S.H.I.N.E.®. This generally settles down central sensitization as well.